Winshell is a shellfish model to determine individual shellfish growth for oysters, clams and mussels. This model is designed for shellfish farmers and water managers, in order to determine how an animal will grow in a certain area, on the basis of food availability and environmental conditions in coastal and estuarine waters. The model specifications allow the user to customise the culture practice and environmental drivers to simulate growth. Winshell gives users an accurate picture of shellfish growth according to the environmental conditions. Users can load and save their driver and results data, as well determining other inputs, such as start day, runtime and seed size. 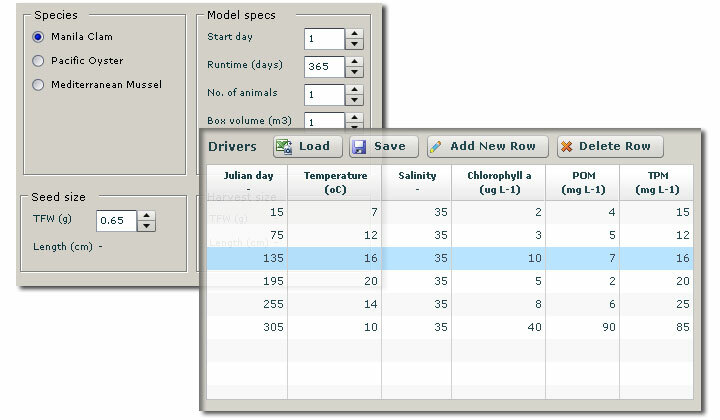 For shellfish population, the FARM model can simulate growth dynamics, where as Winshell simulates growth for individual animals. Users determine species, model specifications and seed size. Visual representation of shellfish length and total fresh weight. 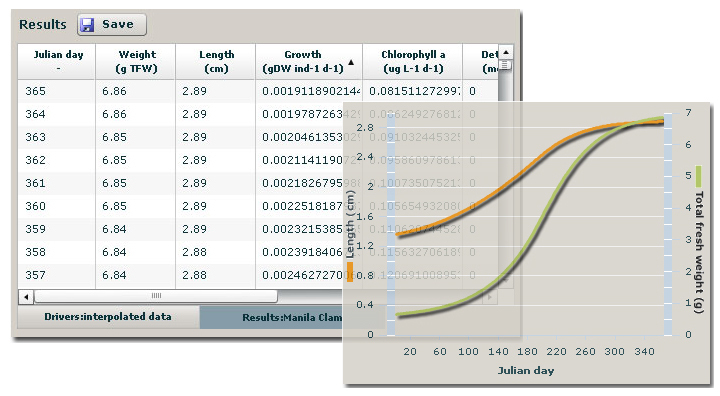 Start modelling oyster, clam and mussel growth in real time for free. For Winshell professional, users must complete a short registration form. Winshell Support provides information about running the Winshell model, including definitions of the input parameters.